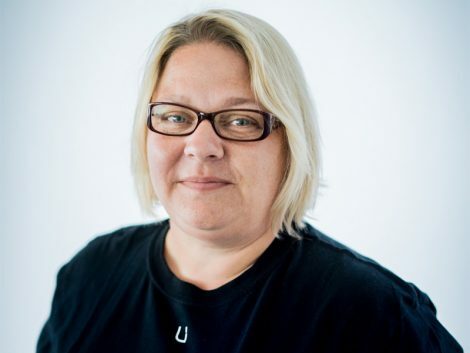 Uniti Sweden has hired electric car expert Sally Povolotsky to lead the continued development of its city EV, the Uniti One. Povolotsky held similar roles working with the likes of Jaguar Land Rover on special projects and EV vehicle development. Move affirms Uniti’s commitment to revealing both two and four-seat production models in 2019. Sally Povolotsky joins Uniti with more than 15 years of experience in the automotive industry, from advanced engineering to product strategy and commercial development for numerous initiatives. Povolotsky has achieved particular success in “special projects” during her time working with Jaguar Land Rover among other manufacturers as concept and project lead for several electrification projects. With her specific expertise News Energy Vehicles, Povolotsky has been a frequent speaker at industry events, including sitting on the UK’s Silverstone Technology Cluster committee driving innovation in autonomous and electrified solutions. Due to high vehicle demand (over €70 million in pre-order value), Uniti has made moves to ensure the quickest possible availability to pre-order customers throughout northern Europe while establishing the supply chain and production partnerships necessary to rapidly scale operations after 2019. Key partnerships include Siemens, whose PLM suite will be used to minimize waste and reduce time to market. Povolotsky will take lead in managing theses vital relationships. “We have a long way to go towards our production model, certification, and the delivery of our first cars, but the commitment the market has already shown for our product and our brand goes a long way to accelerate this process” added Lewis Horne, Uniti CEO. Uniti regularly posts updates on their progress via their YouTube channel, in the latest episode they exclusively introduce Povolotsky to the audience on how Uniti will take the cars to market.